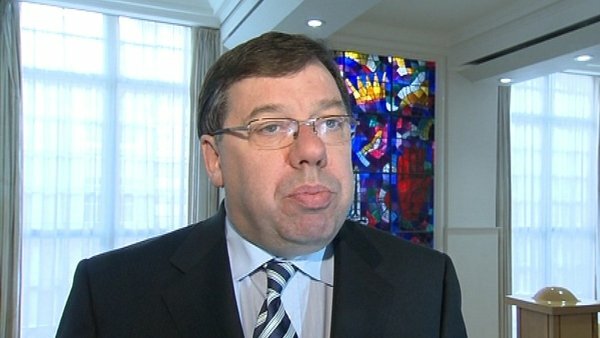 Taoiseach Brian Cowen has told the Fianna Fáil parliamentary party that he intends to continue leading the Government to the end of its term in 2012. Mr Cowen told the meeting this evening that he was not a ‘probationary’ leader. In what some sources described as an ‘impassioned’ 15 minute speech, he is also understood to have said that internal criticism had to stop. The meeting also heard a report on the party's public research, which showed that people felt they were not getting enough information about economic issues. 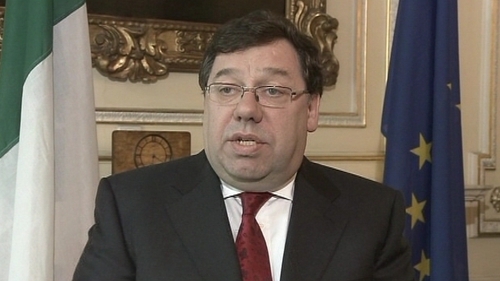 Earlier today Fianna Fáil Senators unanimously backed the leadership of Brian Cowen. At a meeting, the group expressed their full and unqualified confidence in their party leader and their belief that he was the man to lead Fianna Fáil into the next election. Kerry Senator Ned O'Sullivan, who put forward the proposition, described the Taoiseach as a man of unequalled ability and impeccable integrity. Senator O’Sullivan warned against distracting the man at the helm when you are facing stormy weather, as he put it. This morning Fianna Fáil TD Mary O'Rourke conceded that she does not expect the party to be in power after the next General Election. On RTÉ Radio's Today with Pat Kenny programme, Mrs O'Rourke said the Government was taking tough decisions to steer the country through the financial crisis and this would make it easy for the Opposition. The Longford/Westmeath TD said there is a general air of 'crossness' within the Fianna Fáil party over their current standing in the polls, but nobody was harbouring leadership ambitions to challenge Brian Cowen. However, the Taoiseach has insisted that the Government intends to continue in office for its full term, until 2012. Asked what sort of shape the coalition was in as it heads into the summer recess, Mr Cowen said the Government at its meeting today had made it very clear it would serve out its term. He said it was important that people realised they were in the process of providing jobs, and had a detailed plan they were committed to implement over the next two years. The developments came ahead of tonight's parliamentary party meeting where the Taoiseach is expected to be criticised. A handful of backbenchers have expressed concern at the direction the party is taking. Separately, some Fianna Fáil TDs are to use the meeting to oppose the introduction of a property tax in December's Budget. Yesterday, Government Chief Whip John Curran said the backbenchers who had expressed disquiet about Brian Cowen's leadership were not representative of the party as a whole.